When Brian’s wife Leonore passed away in 2017, Brian was determined to create something special to honour her memory in the form of a new learning centre. 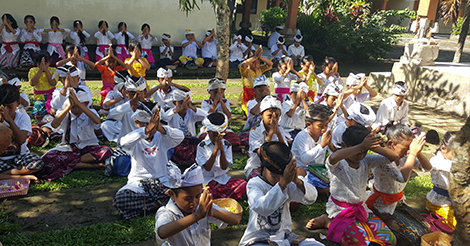 Brian got in touch with Bali Children’s Project in late 2017. We heard about how Brian’s wife Leonore had passed away earlier in the year and that Brian wanted to find ways to honour her memory. 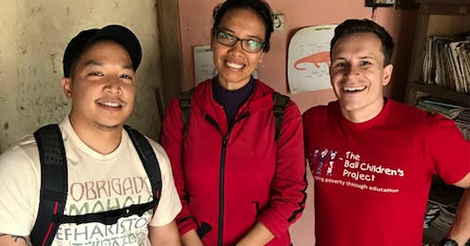 Meeting Brian, one thing was clear – the love he had for his wife – so much that he took the trip specially to Bali to find out about Bali Children’s Project. Showing Brian previously completed projects in our Libraries Renovations Program, we started to discuss a memorial facility to honour Leonore. 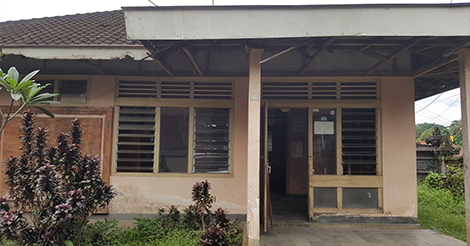 Officially, every school in Bali is required to have a library building. However, this is the extent of the support when it comes to literacy. 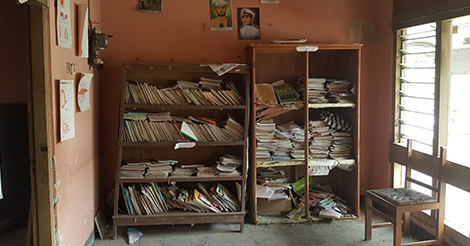 Teachers and schools are often left with a crumbling building, old books and no knowledge of how to run a library – or learning centre. Pictured; Brian, left, Gusti, Libraries Manager, centre, Aron, Development, right. 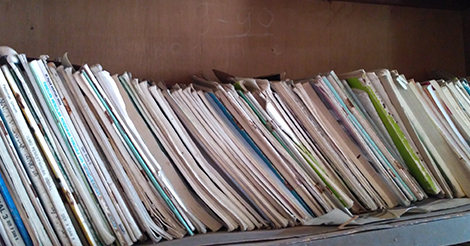 funds or supplies to run a library. The community includes the elementary school and junior high school of hundreds of students. From our experiences, we know that providing great facilities, books and supporting teachers can significantly enhance educational opportunities for children. SDN 5 Marga and what our plans were for creating a Learning Centre, Brian told us he would love to work with us in memoriam of Leonore. 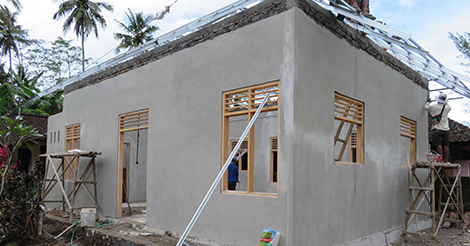 Now we will be creating the Leonore G. Calaustro Learning Centre for the community of Marga. It will be open to all children in the local community, and will offer completely free English classes, IT classes and a great library to encourage reading and literacy. community watch on while their new learning centre dream becomes a reality. 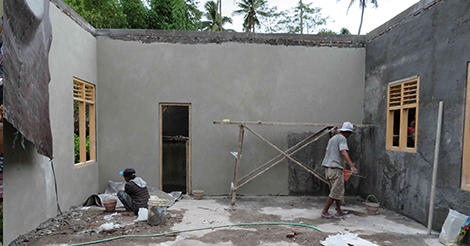 Bali Children’s Project was honoured be chosen to deliver this project. And the community of Marga will be significantly better for it. Grandma Leonor, was a supervisor for the LA School district. She would take Lee to work with her and there Lee had her own desk and would play and learn how to read and write before she even attended kindergarten. about from her mom and stepfather, two accomplished entrepreneurs. Just ask any of her younger siblings or cousins and they could tell you a story about Lee helping them with their homework or teaching them a lesson they still remember today. even own their own pencils. 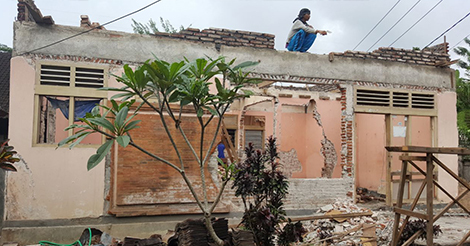 We have already gained the support of the local families there who will be helping to build and teach at the center. They are excited for what this will do for their community. Though we wanted a family, we had no children of our own. My vision is for the Leonore G. Calaustro Learning Center to be a place where children can be nurtured and taught the values that my wife sought to one day teach our own children. It will be a testament to the life that my wife lived, the lives that she impacted and will continue to impact in the future. So stay tuned. Mission on. While the story of how the this project came to happen comes from sadness, we will do Brian and Leonore justice by creating an incredible new facility, providing free and open extra education to an area that truly needs it. The project will be complete in February. You can find out more about our Learning Centre and Libraries program here.